Shared by Aaron Maté (2018-10-15). 'No Turning Back' — Rania Abouzeid on Reporting in Wartime Syria. therealnews.com Award-winning journalist Rania Abouzeid discusses her book "No Turning Back: Life, Loss, and Hope in Wartime Syria," based on years of on-the-ground reporting since the 2011 uprising. Maj. Danny Sjursen (2018-10-15). 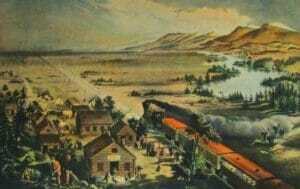 American History for Truthdiggers: Lies We Tell Ourselves About the Old West. truthdig.com For Native Americans, the white man's tale of noble settlement of an empty frontier in the second half of the 19th century masked a genocide. Ellen Brown (2018-10-15). The War on Weed: Monsanto, Bayer, and the Push for "Corporate Cannabis" globalresearch.ca Monsanto now appears to be developing genetically modified (GMO) forms of cannabis, with the intent of cornering the market with patented GMO seeds just as it did with GMO corn and GMO soybeans. Keith A. Spencer, Salon (2018-10-15). What Most Americans Just Don't Get: America Is On Saudi Arabia's Side in the Middle East. alternet.org After 10 years covering the Middle East, PBS correspondent Jane Ferguson talks about what Americans don't get. | In an era of journalistic austerity, as foreign newsrooms are being shuttered and correspondent journalism is waning in favor of news and analysis that can be done from a New York office, being an on-the-ground reporter is increasingly rare. Rarer still are the reporters who get to fly all over the world and bring a team — cameraman, dr. . .
Matthew Smith, Salon (2018-10-15). It's Time for Video Game Makers to Unionize. alternet.org Developers are treated like trash. Now, sudden layoffs at Telltale Games have sparked industry-wide organizing. | Once considered a trifle (at best) or an escapist vice (at worst), video games are in fact big business. Huge, really: the video game industry was worth $108 billion in 2017, according to Superdata Research — around one-quarter of the value of the overall software industry. The creators of the video game h. . . Shared by Hezvo Mpunga (2018-10-15). 'No Turning Back' — Rania Abouzeid on Reporting in Wartime Syria. therealnews.com Award-winning journalist Rania Abouzeid discusses her book "No Turning Back: Life, Loss, and Hope in Wartime Syria," based on years of on-the-ground reporting since the 2011 uprising. Whitney Webb (2018-10-15). Angered By Saudi Plan to Purchase Russian S-400, Trump Admin Exploiting Khashoggi Disappearance to Force Saudis to "Buy American" mintpressnews.com The response of the Trump administration and many U.S. politicians to Khashoggi's disappearance is largely being guided by the military-industrial complex — in this case Lockheed Martin — but masquerading as a response motivated by "human rights." RT (2018-10-15). 'Rogue killers' might have killed Saudi journalist – Trump. rt.com US President Donald Trump said he believes it is possible that "rogue killers" could be responsible for the disappearance of Saudi journalist Jamal Khashoggi. RT (2018-10-15). I'm president and you're not': Trump mocks CBS anchor in tense 60 Minutes interview. rt.com US President Donald Trump stuck his executive privilege in the face of CBS anchor Lesley Stahl during a tug-of-war moment in his interview with CBS, reminding her who was in charge and refusing to make a pledge she demanded. Nonviolence (2018-10-15). Dianne Feinstein: Vivisector, Animal Abuser, Hidden Hawk.. Please Vote Her Out. indybay.org Feinstein sponsored AETA legislation. Her husband bought Ringling Brothers, | is on the board of the vivisecting American Cancer Soc. Feinstein's prowar votes have helped kill trillions of anmals. wsws (2018-10-15). Auto workers welcome SEP candidate Niles Niemuth. wsws.org Auto workers gave SEP congressional candidate Niles Niemuth a warm welcome at a plant gate rally Saturday afternoon in the Detroit suburb of Warren, Michigan. Lydia Andrews (2018-10-15). IMF and World Bank Warn of Financial Crisis as Indonesian Currency Hits Asian Crisis Low. indybay.org World leaders, finance ministers, heads of banks and nongovernmental organizations begin the Annual IMF and World Bank Meetings held this year in Indonesia. Ahead of the meetings the IMF issued stark warnings that another global financial crisis could be on the horizon. As the meetings kickoff, the currency of Indonesia hit lows reminiscent of the devastating "Asian Financial Crisis" of the 1990s. wsws (2018-10-15). Washington presses Central America to militarize and turn away from China. wsws.org With immigrants as the initial target, the militarization is ultimately aimed at suppressing any challenge from below and turning Central America into a battlefield in US wars against other "great powers." Kate Zeller (2018-10-15). 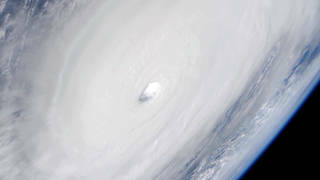 Dark Clouds Gather on Horizon for Financial System, Warns International Monetary Fund. indybay.org Bali, Indonesia -The International Monetary Fund releases its "Global Financial Stability Report" ahead of its Annual Meetings held this year in Southeast Asia. wsws (2018-10-15). US, European powers threaten Saudi crown prince after Khashoggi murder. wsws.org Evidence that America's closest Arab Middle East ally murdered a well known journalist exposes the criminality of the entire global financial aristocracy. Robert Mackey (2018-10-15). Elizabeth Warren Reveals DNA Evidence of Native American Ancestry, Confronting Trump. theintercept.com Replying to Donald Trump's taunts, Sen. Elizabeth Warren revealed that a DNA test provides evidence that she does, in fact, have Native American ancestry. Toby Blomé (2018-10-15). GG Bridge Peace Walk for Afghanistan: 17 Years of Bombing ENOUGH! indybay.org 11: 45 am: Gather at the SF or Marin end of the eastern walkway of the Golden Gate Bridge. | Parking available on all 4 "corners", just remember to take the last exit on hwy 101 as you approach the bridge, or the first exit after you leave the bridge. Arrive early for parking! | 12: 00 pm: Walk on the eastern walkway from the north (Marin) or south (SF) ends, to converge in the middle of bridge for Peace vigil for Afghanistan. | 1: 00pm (Approximately): Rally on SF side after the bridge walk. 5 min. DIE-IN on the plaza to memorialize hundreds of thousands of lost lives from 17 years of US war on Afghanistan. Ali Salam (2018-10-14). Palestinian Authority Challenges Israel's New Settlement Approval in Hebron. imemc.org The Palestinian Ministry of Foreign Affairs warned on Sunday that there would be "serious repercussions of an Israeli expansion project of the old city of al-Khalil. (Hebron)". The warning came after 31 new settlement housing units were approved by the Israeli Defence Minister Avigdor Lieberman on Sunday. 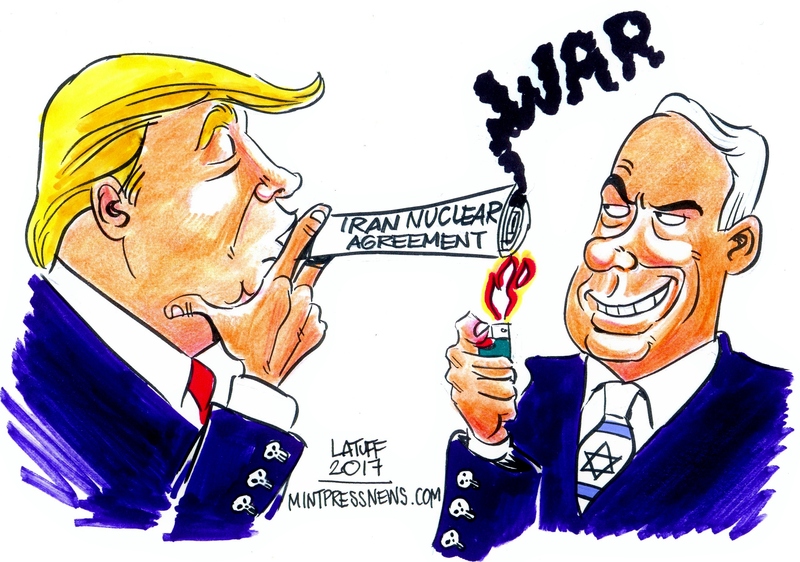 Elizabeth Preza, AlterNet (2018-10-14). 'Completely Outrageous': Ex-US Ambassador to Russia Blasts 'Sell Out' Trump Over His Tepid Response to Murder of Journalist Khashoggi. alternet.org "I'm sorry, that is not American foreign policy," Michael McFaul said. "We should not just sell out to any country who buys our weapons. " | Former United States Ambassador to Russia Michael McFaul on Saturday slammed Donald Trump's lukewarm reaction to the alleged murder of Washington Post columnist Jamal Khashoggi, a Saudi journalist and permanent resident of the U. S. | MSNBC host Alex Witt asked McFaul whether—given the availab. . . Shared by Anton Woronczuk (2018-10-14). Latin America Backslides in Struggle to Reach Zero Hunger Goal. truthout.org For the third consecutive year, South America slid backwards in the global struggle to achieve zero hunger by 2030, with 39 million people living with hunger and five million children suffering from malnutrition. 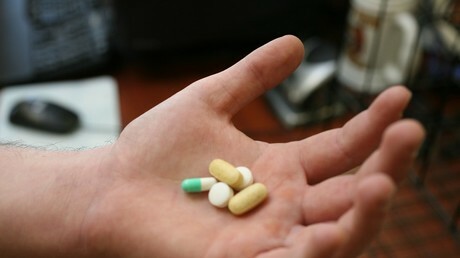 | "It's very distressing because we're not making progress. We're not doing well, we're going in reverse. You can accept this in a year of great drought or a crisis somewhere, but when it's happened three years in a row, that's a trend," reflected Julio Berdegué, FAO's highest authority in Latin America and the Caribbean. | The regional representative of the Jon Queally, Common Dreams (2018-10-14). 'Outrageous' Voter Suppression by 'Cowardly Republicans' in Georgia Is Part of A Nationwide GOP Attack on Democracy. alternet.org Stacey Abrams, the Democratic candidate, has said she is "deeply worried" that tens of thousands of Georgians are being stripped of their constitutional rights. | Civil rights groups have filed a new lawsuit in order to stop a statewide voter suppression effort in Georgia after the GOP gubernatorial candidate Brian Kemp—who just happens to be the state's. . .
David Edwards, Raw Story (2018-10-14). Fox News Hosts Rage Against SNL Skit Mocking Trump And Kanye: 'If You Support the President, You're Either Crazy Or Racist!'. alternet.org Co-host Trish Regan added a third option is "dumb. " | Fox News host Pete Hegseth on Sunday sharply disapproved of a Saturday Night Live comedy sketch that mocked a meeting between President Donald Trump and Kanye West. "They use comedy to push an agenda," Hegseth complained after reviewing the SNLclip. "If you support this president you are either crazy or you're racist. Those are the two boxes! So, Kanye can't be racist, then he's got to. . .
RT (2018-10-14). 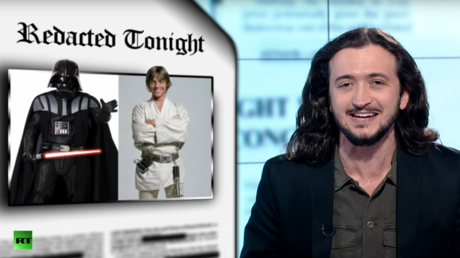 It's not 'light v dark' if Obama and Trump Supreme Court picks agree 93% of the time — Lee Camp. rt.com Lee Camp delves into 50 shades of darkness as he explains why Obama and Trump's Supreme Court picks vote shockingly similarly and why the Pentagon didn't actually believe in the triumph of democracy in Syria. RT (2018-10-14). US needs a space force because Russia is ahead on it, Trump says. rt.com Keen as ever on the idea of having a fighting force in space, US President Donald Trump says it's a necessity for Washington because its perceived top adversaries — Russia and China — are beating it to the punch. RT (2018-10-14). Hunt for 'Googly Eye Bandit' is on in Georgia after war hero's statue gets funny eyes. rt.com Police in Savannah, Georgia are looking for a prankster who put googly eyes on the statue of a revolutionary war hero. "It's no laughing matter," the city stressed, but was taken seriously by absolutely no one. ZeroHedge (2018-10-13). Donald Trump Vows "Severe Punishment" If Saudi Arabia Killed Khashoggi. mintpressnews.com Using the economy as a straw man to avoid cracking down on Riyadh, Trump said that "I don't want to hurt jobs. I don't want to lose an order like that," he said. "There are other ways of punishing, to use a word that's a pretty harsh word, but it's true." wsws (2018-10-13). France's Mélenchon tacitly backs Wagenknecht's xenophobic Aufstehen group. wsws.org By his silence, Mélenchon is tacitly supporting forces within his Unsubmissive France party that are orienting toward right-wing populism and the militarization of Europe. wsws (2018-10-13). Daniel Ellsberg's The Doomsday Machine: A prescient warning of the danger of nuclear war. wsws.org The famous whistleblower of the "Pentagon Papers" provides a disturbing and timely memoir of his days preparing nuclear war policies for the Pentagon. RT (2018-10-13). It's frighteningly easy to track someone down via DNA, scientist reveals. rt.com A scientist at Israeli genealogy firm MyHeritage has published a paper revealing that public genealogy databases can identify relatives — third cousins and closer — in nearly two-thirds of people of European descent. RT (2018-10-13). 'Lee was a great general': Trump's Civil War remarks spark Twitter row. rt.com Trump has again found himself in a familiar place — in the middle of controversy. The US president called Confederate leader Robert E. Lee a "great general," unleashing a Twitter row over what his comments really meant. wsws (2018-10-13). Russia: Putin ally Kudrin pushes for rapprochement with the imperialist powers. wsws.org Underlying the push toward improving ties with imperialism are the growing class tensions in Russia itself. wsws (2018-10-13). Hurricane Michael brings death, devastation to US Southeast. wsws.org Mexico Beach, Florida, known for its pristine beaches, fishing and boating, now resembles a war zone, with 95 percent of its structures uninhabitable. Lee Fang (2018-10-13). Saudi Media Casts Khashoggi Disappearance as a Conspiracy, Claims Qatar Owns Washington Post. theintercept.com In Saudi Arabia, major media outlets have cast the disappearance and apparent murder of Saudi dissident and Washington Post journalist Jamal Khashoggi as a foreign conspiracy to denigrate the image of the kingdom. The media accounts, which come from outlets run with the backing of Saudi Arabia and other Persian Gulf monarchies, are spinning the coverage of Khashoggi's disappearance as a plot by rival governments and political groups to hurt the kingdom — going so far as to make false claims about the Washington Post's owners. | The English-language arm of the news channel Al Arabiya, for instance, Peter Maass (2018-10-13). Max Boot Is Very Sorry for Backing the GOP and the Iraq Invasion. Why Is He Being Praised for This? 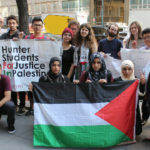 theintercept.com The conservative intellectual is forgiven by his media peers for errors of immense and tragic consequence. Boot's new book is a problem. wsws (2018-10-13). Trump rejects calls for US to end arms sales to Saudi monarchy. 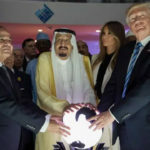 wsws.org The imperialist powers, with the US in the lead, are up to their necks in the blood-soaked repression of the Saudi regime, which has been exposed once again by the apparent murder of journalist Jamal Khashoggi. RT (2018-10-13). 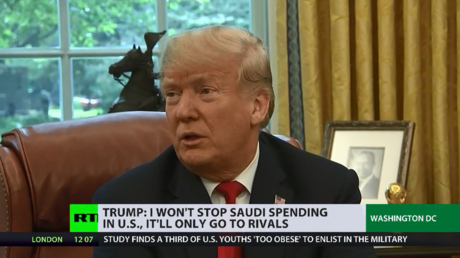 All US presidents kowtow to Saudi Arabia — Trump is just honest about it (VIDEO). rt.com Donald Trump set off a backlash by saying US will not stop supplying Riyadh with weapons over the alleged murder of an opposition journalist. But ignoring Saudi sins to preserve the alliance is a feature of American presidencies. Abedin Mahan (2018-10-13). Responding to Intensifying US "Hostility" Iran Announces Bold Foreign Policy Shift. mintpressnews.com With regional tensions and American pressure continuing to peak, the Iranian establishment needs greater cohesion than ever to manage and overcome the multiple threats ranged against it. RT (2018-10-13). Star Wars writer & Trump critic says Marvel fired him for being 'not civil' on Twitter. rt.com Novelist and comic book writer Chuck Wendig, known for his tough talk against US President Donald Trump and the Republican Party, says Marvel fired him from a Star Wars miniseries for being too "vulgar" on social media. Edward Burmila (2018-10-12). Cops Usually Get Away With Murder. What Was Different in Chicago? thenation.com Cops Usually Get Away With Murder. What Was Different in Chicago? Shared by Jocelyn Dombroski (2018-10-12). Will the Disappearance of Journalist Jamal Khashoggi Bring Down the US-Saudi Alliance? therealnews.com Journalist James M. Dorsey says Saudi Crown Prince Mohammed Bin Salman (MBS) has suffered significant reputational damage on the eve of a major global trade conference known as Vision 2030 or "Davos in the Desert"
Gareth Porter (2018-10-12). The New York Times' Shaky Case that Russia Manipulated Social Media to Tip the 2016 Election. mintpressnews.com Gareth Porter dissects the New York Times Shane & Mazzetti's case that the Russian government seriously threatened to tip the 2016 election through social media. Democracy Now! (2018-10-12). 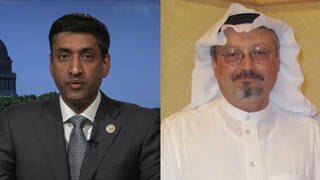 Rep. Ro Khanna Condemns Saudi Barbarity from Disappearance of Saudi Journalist to War in Yemen. democracynow.org President Donald Trump is rejecting calls to cut off arms sales to Saudi Arabia following the disappearance and probable murder of the Saudi-born Washington Post journalist Jamal Khashoggi. The Washington Post is reporting the Turkish government told U.S. officials it has audio and video evidence that Khashoggi was killed last week inside the Saudi Consulate in Istanbul. Officials say the recordings confirm that a Saudi security team detained Khashoggi after he walked into the consulate on October 2, before killing him and dismembering his body. We speak with Ro Khanna, Democratic congressmember from California. Shared by Sharmini Peries (2018-10-12). Will the Disappearance of Journalist Jamal Khashoggi Bring Down the US-Saudi Alliance? therealnews.com Journalist James M. Dorsey says Saudi Crown Prince Mohammed Bin Salman (MBS) has suffered significant reputational damage on the eve of a major global trade conference known as Vision 2030 or "Davos in the Desert"
Ahmed Abdulkareem (2018-10-12). Yemen's Military Adopts More Aggressive Strategy, Captures Saudi Military Sites in Jizan. mintpressnews.com The Yemeni army, loyal to Ansar Allah (Houthis), has changed its approach from hit-and-run attack, in which troops target a military outpost or base and quickly withdraw, to a strategy in which Yemeni military forces would seize control of and retain Saudi military sites. Ahmed Abdulkareem (2018-10-12). In Latest Yemen Offensive, Saudi Arabia Destroys Hospital and Maternity Ward. mintpressnews.com The latest Saudi coalition attacks came in the face of demands issued by the United Nations Committee on the Rights of the Child for the coalition to stop its deadly airstrikes against civilian targets in Yemen. RT (2018-10-12). Trump under pressure to stop arms sales to 'good partner' Saudi Arabia over Khashoggi affair. rt.com As public pressure mounts on the Trump administration to halt arms sales to Saudi Arabia over the disappearance of journalist Jamal Khashoggi, the US defense industry is alarmed while critics of the Yemen war hope for the best. Sam Biddle (2018-10-12). Some Silicon Valley Superstars Ditch Saudi Advisory Board After Khashoggi Disappearance, Some Stay Silent. theintercept.com Some major players in tech are distancing themselves from Saudi's Neom "smart city" project after the reported assassination of Jamal Khashoggi. wsws (2018-10-12). US ambassador to New Zealand continues public attacks on China. wsws.org Scott Brown, the ambassador appointed by Trump, is escalating the anti-Chinese campaign in New Zealand to align the country more closely with US war preparations. Democracy Now! (2018-10-11). "How Fascism Works": Jason Stanley on Trump, Bolsonaro and the Rise of Fascism Across the Globe. democracynow.org In his new book "How Fascism Works: The Politics of Us and Them," Yale professor Jason Stanley warns about the dangers of normalizing fascist politics, writing, "What normalization does is transform the morally extraordinary into the ordinary. It makes us able to tolerate what was once intolerable by making it seem as if this is the way things have always been." We speak with Jason Stanley in New York. Posted on October 15, 2018 by Admin. After 10 years covering the Middle East, PBS correspondent Jane Ferguson talks about what Americans don't get. | In an era of journalistic austerity, as foreign newsrooms are being shuttered and correspondent journalism is waning in favor of news and analysis that can be done from a New York office, being an on-the-ground reporter is increasingly rare. Rarer still are the reporters who get to fly all over the world and bring a team — cameraman, dr. . . The War on Weed: Monsanto, Bayer, and the Push for "Corporate Cannabis"
Monsanto now appears to be developing genetically modified (GMO) forms of cannabis, with the intent of cornering the market with patented GMO seeds just as it did with GMO corn and GMO soybeans. | The post The War on Weed: Monsanto, Bayer, and the Push for "Corporate Cannabis" appeared first on Global Research. Angered By Saudi Plan to Purchase Russian S-400, Trump Admin Exploiting Khashoggi Disappearance to Force Saudis to "Buy American"
Award-winning journalist Rania Abouzeid discusses her book "No Turning Back: Life, Loss, and Hope in Wartime Syria," based on years of on-the-ground reporting since the 2011 uprising. 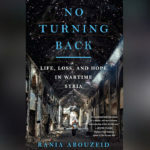 | The post 'No Turning Back' — Rania Abouzeid on Reporting in Wartime Syria appeared first on The Real News Network. On the 22nd of October 1962 the US 2nd Fleet began the blockade of Cuba, an action that immediately threatened the world with nuclear war and annihilation. Those of us old enough to remember President Kennedy's statement on live television … | The post On US Naval Blockades and a Hard Days War. Economic Warfare against Russia is not Working appeared first on Global Research. Developers are treated like trash. Now, sudden layoffs at Telltale Games have sparked industry-wide organizing. | Once considered a trifle (at best) or an escapist vice (at worst), video games are in fact big business. Huge, really: the video game industry was worth $108 billion in 2017, according to Superdata Research — around one-quarter of the value of the overall software industry. The creators of the video game h. . . Evidence that America's closest Arab Middle East ally murdered a well known journalist exposes the criminality of the entire global financial aristocracy. Shahin Izadyar, who won six gold medals at the 2018 Asian Para Games in Jakarta, Indonesia, resembles the most decorated Olympian of all time Michael Phelps. Surpassing Japan in the third place in medal table, Izadyar helped Iran record the best ever showing at the Games. Izadyar has yet to win a medal in the […] | The post The Persian Michael Phelps: Swimmer Shahin Izadyar appeared first on The Iranian. Replying to Donald Trump's taunts, Sen. Elizabeth Warren revealed that a DNA test provides evidence that she does, in fact, have Native American ancestry. | The post Elizabeth Warren Reveals DNA Evidence of Native American Ancestry, Confronting Trump appeared first on The Intercept. Feinstein sponsored AETA legislation. Her husband bought Ringling Brothers, | is on the board of the vivisecting American Cancer Soc. Feinstein's prowar votes have helped kill trillions of anmals. Bali, Indonesia -The International Monetary Fund releases its "Global Financial Stability Report" ahead of its Annual Meetings held this year in Southeast Asia. US President Donald Trump said he believes it is possible that "rogue killers" could be responsible for the disappearance of Saudi journalist Jamal Khashoggi. US President Donald Trump is sending Secretary of State Mike Pompeo to meet with King Salman of Saudi Arabia after the king denied having any knowledge about the disappearance of Saudi dissident journalist Jamal Khashoggi. Auto workers gave SEP congressional candidate Niles Niemuth a warm welcome at a plant gate rally Saturday afternoon in the Detroit suburb of Warren, Michigan. GG Bridge Peace Walk for Afghanistan: 17 Years of Bombing ENOUGH! 11: 45 am: Gather at the SF or Marin end of the eastern walkway of the Golden Gate Bridge. | Parking available on all 4 "corners", just remember to take the last exit on hwy 101 as you approach the bridge, or the first exit after you leave the bridge. Arrive early for parking! | 12: 00 pm: Walk on the eastern walkway from the north (Marin) or south (SF) ends, to converge in the middle of bridge for Peace vigil for Afghanistan. | 1: 00pm (Approximately): Rally on SF side after the bridge walk. 5 min. DIE-IN on the plaza to memorialize hundreds of thousands of lost lives from 17 years of US war on Afghanistan. With immigrants as the initial target, the militarization is ultimately aimed at suppressing any challenge from below and turning Central America into a battlefield in US wars against other "great powers." 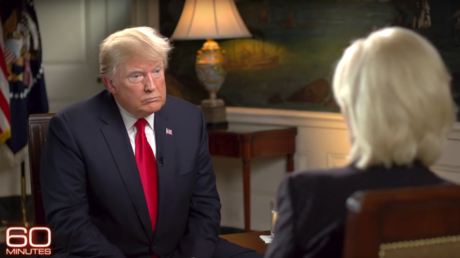 US President Donald Trump stuck his executive privilege in the face of CBS anchor Lesley Stahl during a tug-of-war moment in his interview with CBS, reminding her who was in charge and refusing to make a pledge she demanded. "I'm sorry, that is not American foreign policy," Michael McFaul said. "We should not just sell out to any country who buys our weapons. " | Former United States Ambassador to Russia Michael McFaul on Saturday slammed Donald Trump's lukewarm reaction to the alleged murder of Washington Post columnist Jamal Khashoggi, a Saudi journalist and permanent resident of the U. S. | MSNBC host Alex Witt asked McFaul whether–given the availab. . .
Co-host Trish Regan added a third option is "dumb. " | Fox News host Pete Hegseth on Sunday sharply disapproved of a Saturday Night Live comedy sketch that mocked a meeting between President Donald Trump and Kanye West. "They use comedy to push an agenda," Hegseth complained after reviewing the SNLclip. "If you support this president you are either crazy or you're racist. Those are the two boxes! So, Kanye can't be racist, then he's got to. . . The Palestinian Ministry of Foreign Affairs warned on Sunday that there would be "serious repercussions of an Israeli expansion project of the old city of al-Khalil. (Hebron)". The warning came after 31 new settlement housing units were approved by the Israeli Defence Minister Avigdor Lieberman on Sunday. Video: Israel Grounds Its F-35 Stealth Jet Fighters, Unable to "Challenge" Syria's S-300 Air Defenses? Lee Camp delves into 50 shades of darkness as he explains why Obama and Trump's Supreme Court picks vote shockingly similarly and why the Pentagon didn't actually believe in the triumph of democracy in Syria. The United States is seeking "regime change" in Iran, President Hassan Rouhani said on Sunday, adding that the current US administration is the most hostile that the Islamic Republic has faced in its four decades. Tensions have increased between Iran and America after US President Donald Trump withdrew from a multi-lateral agreement on Iran's nuclear […] | The post Rouhani: US Wants 'Regime Change' In Iran appeared first on The Iranian. 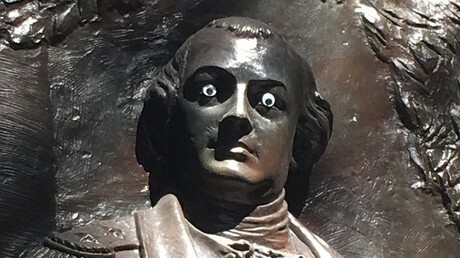 Police in Savannah, Georgia are looking for a prankster who put googly eyes on the statue of a revolutionary war hero. "It's no laughing matter," the city stressed, but was taken seriously by absolutely no one. Keen as ever on the idea of having a fighting force in space, US President Donald Trump says it's a necessity for Washington because its perceived top adversaries — Russia and China — are beating it to the punch. Using the economy as a straw man to avoid cracking down on Riyadh, Trump said that "I don't want to hurt jobs. I don't want to lose an order like that," he said. "There are other ways of punishing, to use a word that's a pretty harsh word, but it's true." | The post Donald Trump Vows "Severe Punishment" If Saudi Arabia Killed Khashoggi appeared first on MintPress News. Iran won 51 gold, 42 silver and 43 bronze medals and were placed third in the overall rankings. Asian heavyweights China came atop of the overall rankings with 172 gold, 88 silver and 59 bronze followed by South Korea (53 gold, 25 silver and 47 bronze). A total of 210 athletes, consisting of 137 men […] | The post Iran Records Best Ever Showing At Asian Para Games appeared first on The Iranian. 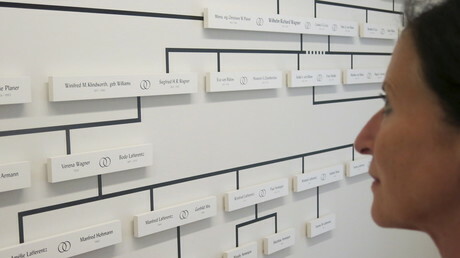 A scientist at Israeli genealogy firm MyHeritage has published a paper revealing that public genealogy databases can identify relatives — third cousins and closer — in nearly two-thirds of people of European descent. Trump has again found himself in a familiar place — in the middle of controversy. The US president called Confederate leader Robert E. Lee a "great general," unleashing a Twitter row over what his comments really meant. The famous whistleblower of the "Pentagon Papers" provides a disturbing and timely memoir of his days preparing nuclear war policies for the Pentagon. Ed Husain's latest book, The House of Islam, A Global History, is an honest and informative writing about the past and current state of Muslims in the world according to a former Islamic radical. 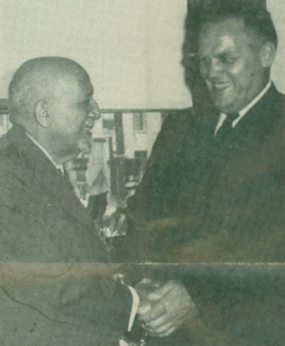 There are many similarities between Husain's account and other apologists' writing on Islam and its diverse history and interpretation of its creed. However, […] | The post Book Review: The House Of Islam, A Global History appeared first on The Iranian. The Jamal Khashoggi case begs the question: if the Saudi crown prince acts like this only 16 months into his role, then what will happen when he comes to ascend the throne? What were Jamal Khashoggi's last thoughts, as he was being dragged out of the Saudi consulate general's office in Istanbul by two men […] | The post Trump And The Boy King: Mohammed Bin Salman's Reign Is Over Before It Began appeared first on The Iranian. French President Emmanuel Macron said on Friday it was not clear whether a foiled attack on a Paris-based Iranian opposition group was ordered by the higher echelons of authorities in Tehran. "As you know Iran is sometimes divided into different factions and tensions, and so I can't say today whether the order came from the […] | The post Macron Says It's Unclear Who In Iran Ordered French Bomb Plot appeared first on The Iranian. With regional tensions and American pressure continuing to peak, the Iranian establishment needs greater cohesion than ever to manage and overcome the multiple threats ranged against it. | The post Responding to Intensifying US "Hostility" Iran Announces Bold Foreign Policy Shift appeared first on MintPress News. Donald Trump set off a backlash by saying US will not stop supplying Riyadh with weapons over the alleged murder of an opposition journalist. But ignoring Saudi sins to preserve the alliance is a feature of American presidencies. According to Middle East Eye, Richard Branson, Andrew Ross Sorkin, Economist editor-In-chief Zanny Minton Beddoes, World Bank president Jim Yong Kim, New York Times, Financial Times, Uber CEO Dara Khosrowshah, Viacom CEO Bob Bakish and AOL founder Steve Case have all withdrawn from Saudi Arabia's Future Investment Initiative conference, to be held this month in Riyadh. […] | The post Ban Saudi Oil appeared first on The Iranian. The conservative intellectual is forgiven by his media peers for errors of immense and tragic consequence. Boot's new book is a problem. 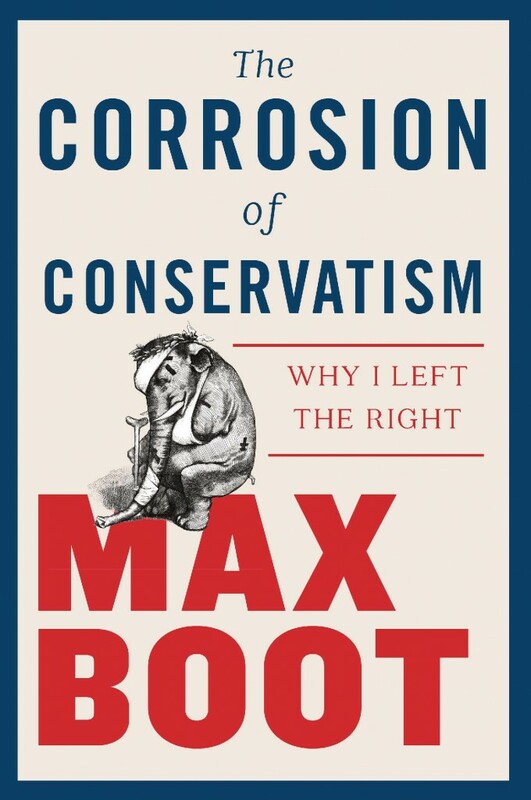 | The post Max Boot Is Very Sorry for Backing the GOP and the Iraq Invasion. Why Is He Being Praised for This? appeared first on The Intercept. The latest Saudi coalition attacks came in the face of demands issued by the United Nations Committee on the Rights of the Child for the coalition to stop its deadly airstrikes against civilian targets in Yemen. | The post In Latest Yemen Offensive, Saudi Arabia Destroys Hospital and Maternity Ward appeared first on MintPress News. Gareth Porter dissects the New York Times Shane & Mazzetti's case that the Russian government seriously threatened to tip the 2016 election through social media. | The post The New York Times' Shaky Case that Russia Manipulated Social Media to Tip the 2016 Election appeared first on MintPress News. President Donald Trump is rejecting calls to cut off arms sales to Saudi Arabia following the disappearance and probable murder of the Saudi-born Washington Post journalist Jamal Khashoggi. The Washington Post is reporting the Turkish government told U.S. officials it has audio and video evidence that Khashoggi was killed last week inside the Saudi Consulate in Istanbul. Officials say the recordings confirm that a Saudi security team detained Khashoggi after he walked into the consulate on October 2, before killing him and dismembering his body. We speak with Ro Khanna, Democratic congressmember from California. The Yemeni army, loyal to Ansar Allah (Houthis), has changed its approach from hit-and-run attack, in which troops target a military outpost or base and quickly withdraw, to a strategy in which Yemeni military forces would seize control of and retain Saudi military sites. | The post Yemen's Military Adopts More Aggressive Strategy, Captures Saudi Military Sites in Jizan appeared first on MintPress News. The Washington Post has taken out a full-page ad in protest of the disappearance and alleged murder of Saudi journalist Jamal Khashoggi in Turkey. "We're not going to let this go," said editor Karen Attiah in an interview. Some major players in tech are distancing themselves from Saudi's Neom "smart city" project after the reported assassination of Jamal Khashoggi. | The post Some Silicon Valley Superstars Ditch Saudi Advisory Board After Khashoggi Disappearance, Some Stay Silent appeared first on The Intercept. Israel is everything the US wishes the Middle East would be, US Secretary of State Mike Pompeo declared in a speech, while bashing the Obama administration's approach to Iran as resembling a "Disney movie." Is the U.S. Complicit in Saudi Journalist's Disappearance? President Trump says the US is pressing Saudi Arabia for answers on the fate of missing journalist Jamal Khashoggi. But new questions are being raised about the US role after a Washington Post report that U.S. intelligence intercepted communications of Saudi officials discussing a plan to capture and "lay hands on" Khashoggi. 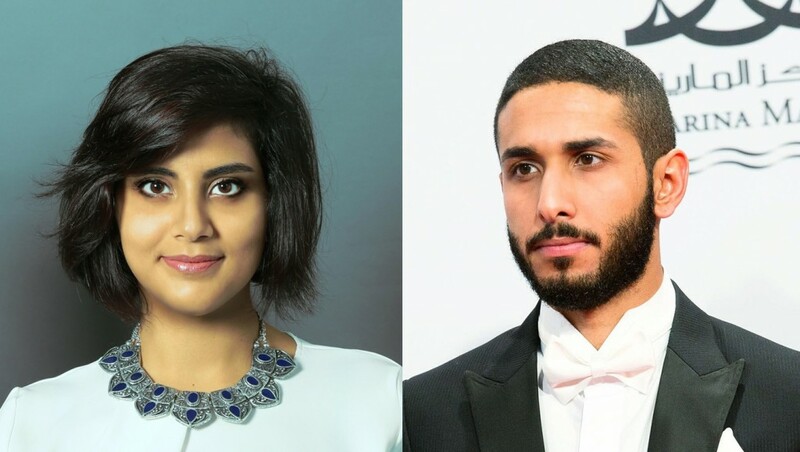 We speak to… | The post Is the U.S. Complicit in Saudi Journalist's Disappearance? 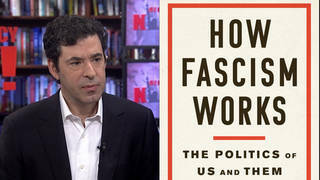 In his new book "How Fascism Works: The Politics of Us and Them," Yale professor Jason Stanley warns about the dangers of normalizing fascist politics, writing, "What normalization does is transform the morally extraordinary into the ordinary. It makes us able to tolerate what was once intolerable by making it seem as if this is the way things have always been." We speak with Jason Stanley in New York. Trump's outgoing U.N. ambassador is getting applause from the media for being so moderate. But Haley has been a champion for right-wing causes. | The post Don't Call Nikki Haley a Moderate. She's an Extremist on Israel, Iran, and Human Rights. appeared first on The Intercept. NASA officials have said that the International Space Station (ISS) could be left unmanned after a Russian Soyuz spacecraft was forced to make an emergency landing when its rocket booster malfunctioned. Saudi Arabia's ambassador to the US has unexpectedly left for Riyadh, with the State Department saying they did not request it but "expect" the envoy to return with information about the missing journalist Jamal Khashoggi. The US Secretary of State expressed "discontent" with peaceful negotiations between North and South Korea, which signed a military pact during last month's summit without consulting him. From "alternate universes" and the concept of time to serious arguments about prison slavery, fatherhood and racism, rapper Kanye West owned the Oval Office in a televised monologue that left everyone scratching their heads. A new poll shows a majority of US residents support withdrawing all troops from Afghanistan, 17 years into a war that shows no signs of ending. Support for winding down the interminable conflict is even higher among veterans. The internet won't let go of the story of Jamal Khashoggi's apparent assassination — and that's a good thing for justice. | The post Let's Use Social Media to Put Pressure on Saudi Arabia Over Jamal Khashoggi's Disappearance appeared first on The Intercept. Kentucky Senator Rand Paul has said he will introduce a bill that would cut off military aid to Saudi Arabia until the missing Saudi-born dissident journalist Jamal Khashoggi is found safe and well. Dennis Rodman, retired basketball player and unlikely friend to North Korean leader Kim Jong-un, has made yet another odd appearance – this time making a video on horseback and asking if he should become the next UN ambassador.